SkyVerge	is ready to help you get the answers you need. SkyVerge	will reply to your questions about Get extension name	shortly. We appreciate your feedback about your support experience with SkyVerge, developers of Customer/Order/Coupon CSV Import Suite. This helps us maintain high standards on the WooMarketplace, and helps SkyVerge improve. Glad to hear it went well with SkyVerge. Tell us more. Did SkyVerge get back to you? Do you have any additional feeback for us or SkyVerge? 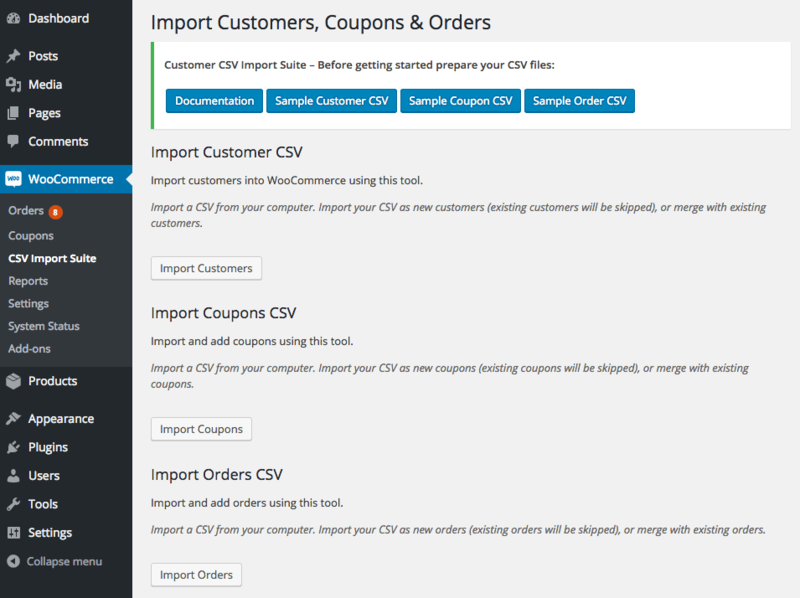 Mass import hundreds, even thousands of customers, coupons, and orders into your WooCommerce store with the Customer / Coupon / Order CSV Import Suite. This user-friendly importer will import customers with a minimum of hassle, and can import orders and link them to your shop’s customers and products. This is an ideal tool when migrating an existing shop on a different eCommerce platform to WooCommerce, allowing you to maintain your customer accounts and order history. Have coupons to migrate from your old eCommerce platform, or campaigns requiring the creation of hundreds of coupons or more? The importer will import those, too! 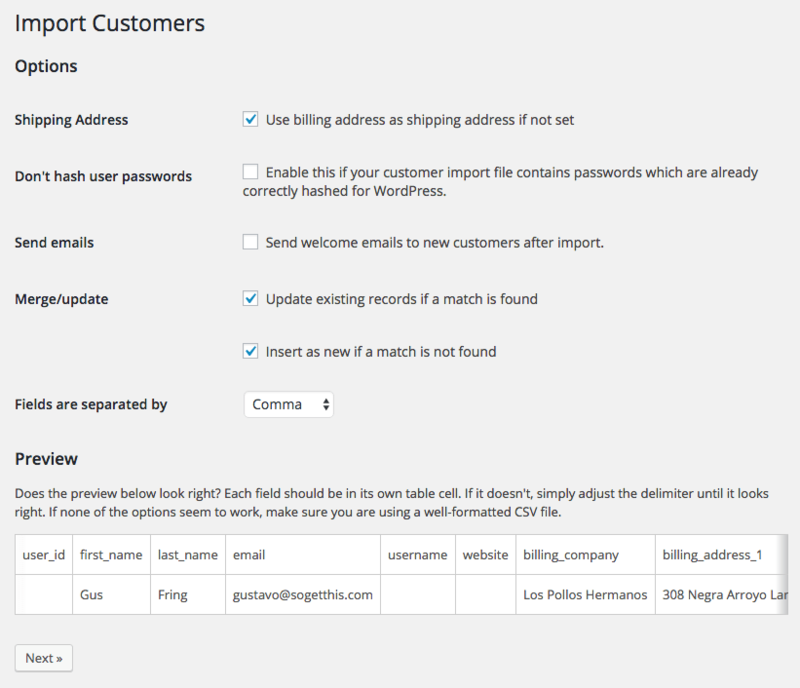 The importer is flexible enough to handle several kinds of import formats, and you can map your import columns to the appropriate WooCommerce data to merge or create customers, coupons, and orders. You can also import data from a variety of sources, such as an uploaded file, URL / file path, or via copy and paste. What can the CSV Importer do? 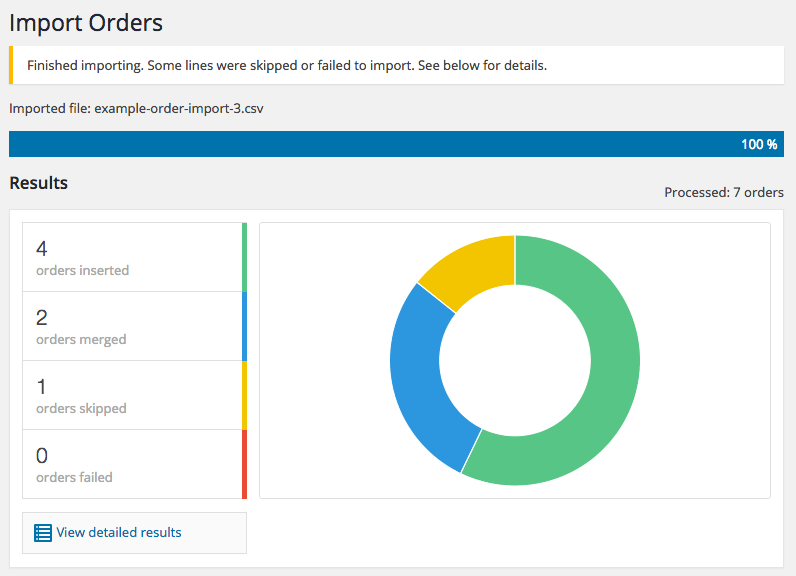 Merge customer data from your import with existing users – useful for mass-updating customer information! The import process for customers, coupons, and orders is similar. You’ll first select your import file location. Then you’ll select options for the import, and get a quick preview of your import file so you can ensure the plugin has detected the delimiter correctly. For any import type, you can opt to merge data, which will update existing records if they match, or only create data with each imported row. 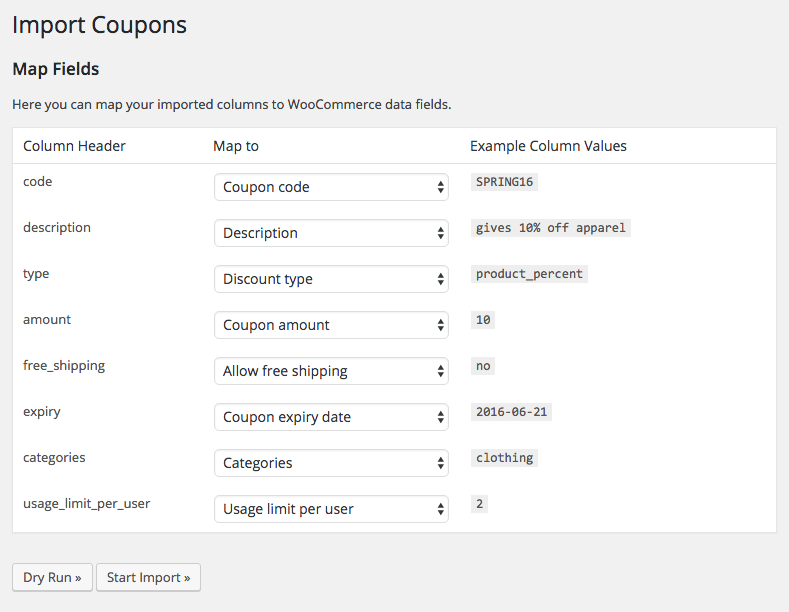 Next, you’ll map the columns in your import to the appropriate WooCommerce data. This lets you easily import almost any file format, so long as it contains the necessary information for import. Finally, you can run a dry run to ensure your file will import safely, and do a live run. This will process in the background, meaning you can navigate away from the import page as it churns through your imported file, which can even be thousands of rows long! You’ll get a status update when the import is completed of how many rows modified data, were inserted, or were skipped. Read the Documentation and download the sample CSV files to see the format required for import. Add your data to the CSV file, upload, and click import. That’s it! Sit back and enjoy your easily imported customers, coupons, and coupons! Need any more reason to buy? When you purchase a SkyVerge-developed extension, you’re getting the highest quality extensions for your WooCommerce store. Gain peace of mind by knowing that when you purchase our products, your store’s performance is as important to us as it is to you. Please login if you wish to upgrade a subscription key. We are accepting reviews for this product, and will display them when get a few more!